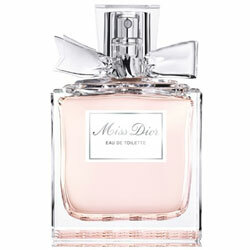 Package Designer Original Miss Dior bottle with silver bow accent and light pink juice. Girlie -- Never met a bow, bud, or bauble you didn't love? These bejeweled bottles and romantic spritzes are meant for you.